Always seems to have succeeded in finding the sweet spot in digital marketing campaigns, whoever knew about 'sexism' in the cute world of emojis! Emojis are the new communication tools of the millennial generation. Whatever needs to be said in so many words, can be now expressed in one little emoji. It’s quick, it’s convenient and there’s no chance for a typo! But then again, you need a diverse set of emojis on your emoji keyboard to be able to express yourself smoothly and quickly, all in emojis only. Look closely and you will find there’s a real world problem reflected in emojis too – they are essentially sexist! A recent study found that emojis are limited when it comes to girls: girl emojis are all dressed in pink, girl emojis enact dancing, shopping, doing up their nails or hair, girl emojis mirror the real world stereotypes associated with females. Whereas boy emojis enact running, cycling, surfing, playing football, being police officers and more. I bet you didn’t realize this alarming phenomenon happening right there on your emoji keyboard. But, P&G’s feminine hygiene brand Always spotted it and leveraged it for the next phase of its #LikeAGirl campaign, the brand’s award-winning campaign that seeks to instil confidence in girls experiencing a drop in confidence levels at puberty. P&G’s research revealed that 72% of girls feel that society limits them, by dictating what they should and shouldn’t do. While they loved expressing themselves in emojis, they felt limited with the existing set of emojis. More than half believed that female emojis are stereotypical, 67% agreed that the available female emojis imply that girls are limited in what they can do. 75% want female emojis to portray professional options and not limited to hair cuts or manicures. 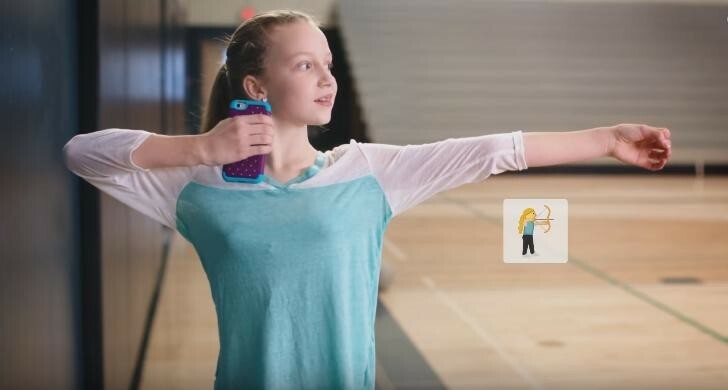 Just like in the video, where the girls are asking for female emojis depicting archers, singers, wrestlers, footballers, and more, Always is asking girls on social networks to share tweets, pictures or videos about the girl emoji they want, using #LikeAGirl. Always has been busy creating girl emojis on user request – a girl coder, a girl paleontologist, a girl lawyer, and more. Interestingly, a request was also placed by the First Lady, Michelle Obama, who wanted more girl studying emojis. Always seems to have succeeded in finding the sweet spot in digital marketing campaigns. Studies highlight that adolescent girls form the majority of emoji users, and with emoji being crowned as the ‘word of the year’ by Oxford Dictionaries, an emoji-driven campaign becomes mandatory to reach out to teenagers today. The powerful combination of emojis, girl empowerment and brand message has all been rolled into one perfect socially relevant campaign for its target consumer. Taking on the existing girl emojis that screamed ‘sexist’ on your emoji keyboard is an awesome move, whoever knew about ‘sexism’ in the cute world of emojis! Always can take a bow for that, and in all likelihood, more advertising awards for ‘effective brand communication’ and for ‘bringing about cultural change.’ That tweet by the First Lady says it all.